State Trustees, in partnership with the Office of the Public Advocate, today announced the release of the revised Administration Guide; an informative and helpful publication for administrators who are authorised under the Guardianship and Administration Act 1986 to manage the legal and financial affairs of another person. Victorian Civil and Administrative Tribunal (VCAT) President, Justice Greg Garde, AO RFD, officially launched the guide at the William Cooper Justice Centre this afternoon. State Trustees is committed to working toward ensuring vulnerable Victorians are protected at all times. The Administration Guide provides administrators with clear guidelines as to what can be expected when acting in the best interests of a represented person. The guide will be immediately available for administrators appointed by VCAT. This informative and comprehensive guide is written with every Victorian in mind, with plain language and less legal jargon. The guide also includes templates, and recommended steps for administrator’s to take in the first weeks of being appointed. 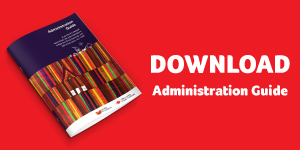 We at State Trustees are honoured to have partnered with the Office of the Public Advocate in updating this resource, which I believe is a valuable asset to any administrator. State Trustees offers an array of services for Victorians, and proudly accepts all VCAT appointments regardless of an individuals’ wealth or illness. This speaks to the core of what we do – we are the Trustee Victorians can turn to as an administrator of choice. State Trustees is a state government owned company that plays an important role in building awareness and educating the community to protect the legacy and financial affairs of Victorians – we believe every Victorian deserves to live on, that’s why we exist.